The Democrats’ failure to advance a bold progressive alternative to President Trump’s belligerent policies and bloated defense budgets is a huge missed opportunity. Last week, President Trump abruptly pulled out of the planned summit with North Korean leader Kim Jong-un in a bizarre letter that ominously warned of America’s “massive and powerful” nuclear capabilities. (As of this writing, it appears the summit may still take place.) This came on the heels of Trump’s senseless decision to rip up the Iran nuclear deal, increasing the probability of another war in the Middle East. The Pentagon, meanwhile, is seeking congressional approval for a new “low-yield” nuclear warhead, a Strangelovian euphemism for a weapon roughly as powerful as the ones dropped on Hiroshima and Nagasaki. So much for that Nobel Peace Prize. In a sane world, Trump’s escalation of nuclear dangers would provoke a much louder outcry, especially from Democratic politicians who have taken up the mantle of resistance to the president. But Democrats, with a few notable exceptions, haven’t offered alternatives to Trump’s calamitous, con-man foreign policy. While there are a number of explanations for the party’s response, perhaps a central part of the problem is that, with less than six months until the midterms, Democrats still don’t have a coherent message on national security. 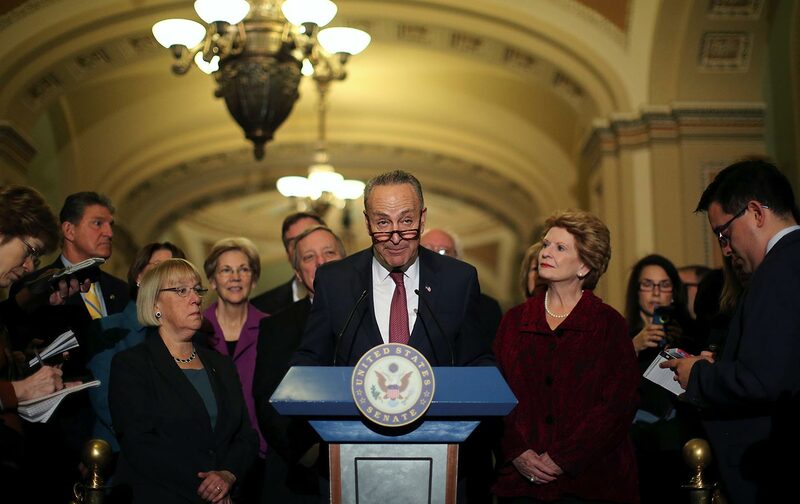 Without control of the White House or Congress, the moment is ripe for Democrats to rethink the failed establishment approach that has guided the party for too long.